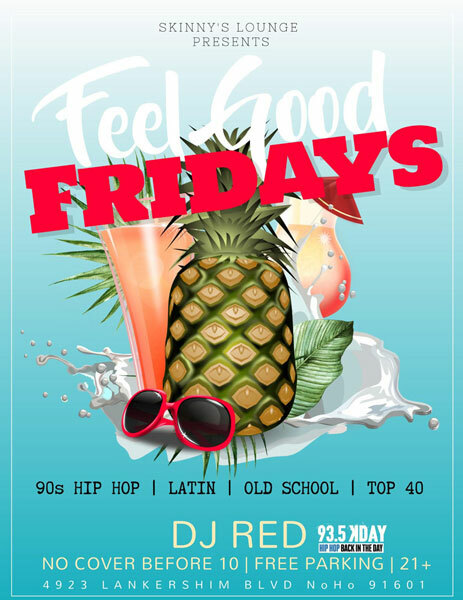 Feel Good Friday’s are hosted by DJ Red on the turntables keeping the energy moving throughout the night. Your favorite Hip Hop classics are played with a touch of top 40 and Latin. Be sure to ask us about our Section Specials and Table Reservations.